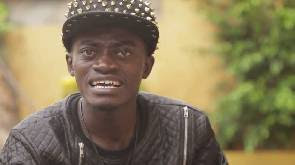 Kumawood star, Kwadwo Nkansah, affectionately called Lilwin has disclosed that he would have still been a ‘mortuary man’ if he hadn’t been an actor or musician. He said prior to his current status, he worked as a mortuary attendant at the age of 21. The comedian indicated that he would have been carrying dead bodies to earn income if he had not pursued his dream of acting and putting smiles on the faces of many in Ghanaian homes. Speaking on Ultimate FM’s Brunch hosted by Naa Klordey Odonkor, the ‘I don’t think far’ hit maker indicated that though carrying dead bodies was a difficult task, he would wish to return to his former career. ‘About ten years ago, when the transport system in the country was terrible, especially at a small village called Kam 19, hardly would you see a vehicle plying on our road, the distance from the houses to the mortuary was far, so I was carrying dead bodies, those days I was charging GH¢20.00 per a body, it was very heavy but I needed the money so couldn’t resist the job. I would have been carrying dead bodies now if not for my new job, I used to make Ghana-made sandals and shoes, if I stop both my musical and acting career, I would go back to my former self of making shoes or carrying dead bodies,’ he explained. The CEO of ‘Boss Nation’ disclosed that he makes his own footwear, ‘Sometimes I make my own shoes and sandals’. The talented actor advised the youth to live a healthy life style and desist from activities that would send them to their early graves. The actor and some musicians such as Flow King Stone, Medical, Joey B, Guru, Strong man and others on Monday held Salla festival pool party at X-5 in Kumasi.